In this three-part series, we will look at some foundational truths from God’s Word that can carry us into the new year. For Christmas Eve, we looked at Galatians 4:4-7 to discover the big reason why God sent Jesus to this world to redeem sinners. 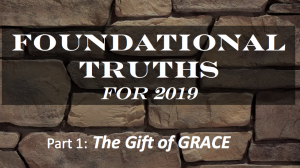 This week we will start a new three-part series called Foundational Truths for 2019. It is always good to “go back to basics” sometimes. So, for the next three Sundays, we will look at some principles and scripture passages that provide the solid foundation we need as we head into the New Year. Sunday, we will begin by talking about what grace is all about. 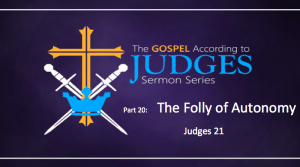 Today we will ponder the favor of God and why the angels were singing about it. This week we will continue our advent series Heaven’s Greatest Hit. Sunday we will focus on The Favor of God. To prepare, read Luke 2:1-14. Also, our Christmas Eve service will be at 5:00pm. We will be concluding our Advent series as we consider The Children of God. 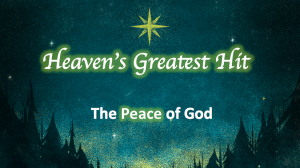 Today we will ponder the peace of God and why the angels were singing about it. Sunday we will focus on The Peace of God. 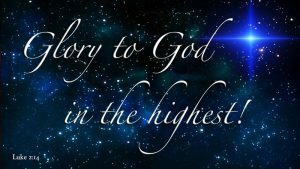 This week we will begin our advent season as we look at Heaven’s Greatest Hit for the next 3 weeks. But the meaning behind the words may be the most important truth in the universe.